It is so very sweet, perfect sentiment. Hi Connie, this is just adorable, love the sweet image and beautiful sentiment. Enjoy your weekend my friend. So VERY beautiful, love the image and the lavender treatment of her. Great sentiment too. So sweet and pretty. Love the tiny little toad in there too. Of course I kissed toads - but it could have been just because I loved them so much. 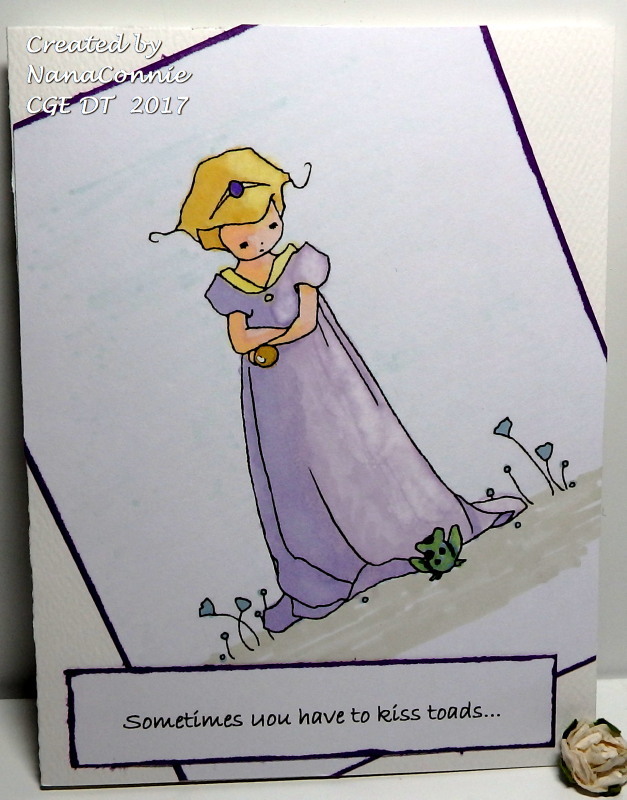 As I got older, I probably still kissed a lot of "toads"! Aawww! So tender and sweet. Just love your card! 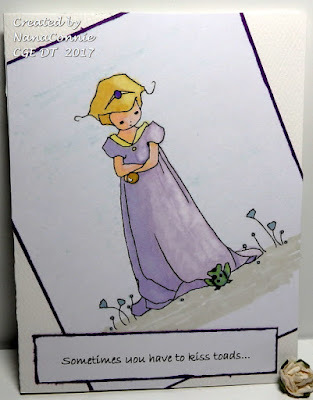 What a very sweet card! Thank you so much for entering our challenge at Crafty Gals Corner Challenges this week. Be sure to join us next week too! Fabulous! Thank you for playing along at Penny's Challenges.